KBOE – established November 15, 1950, is your home for Hot Country Hits, Oskaloosa Indians, William Penn Statesmen, and Iowa Hawkeye sports, in addition to NASCAR Sprint Cup and Nationwide Series hustling, neighborhood news, sports and a great deal more! 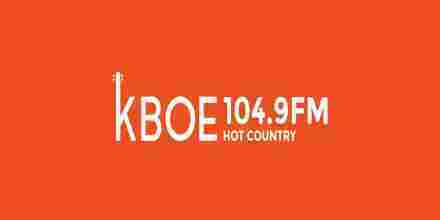 KBOE-FM (104.9 FM) is a commercial radio station licensed to serve the community of Oskaloosa, Iowa. The station primarily broadcasts a country music format. 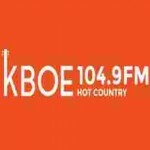 KBOE-FM is owned by Jomast Corporation. KBOE-FM provides live coverage of William Penn Statesmen & Oskaloosa Indian sports events as well as coverage of Iowa Hawkeye sports, NASCAR racing and area race tracks such as the Eddyville Raceway Park, Southern Iowa Speedway, Eldon Raceway, and Knoxville Raceway. The transmitter and broadcast tower are located north of town at the intersection of Hwy 63 and 230th Street. According to the Antenna Structure Registration database, the tower is 149.4 m (490 ft) tall with the FM broadcast antenna mounted at the 142 m (466 ft) level. The calculated Height Above Average Terrain is 150 m (490 ft). The tower is also used as the antenna system for its sister station, KMZN (AM). The genre of news as we know it today is closely associated with the newspaper, which originated in China as a court bulletin and spread, with paper and printing press, to Europe.